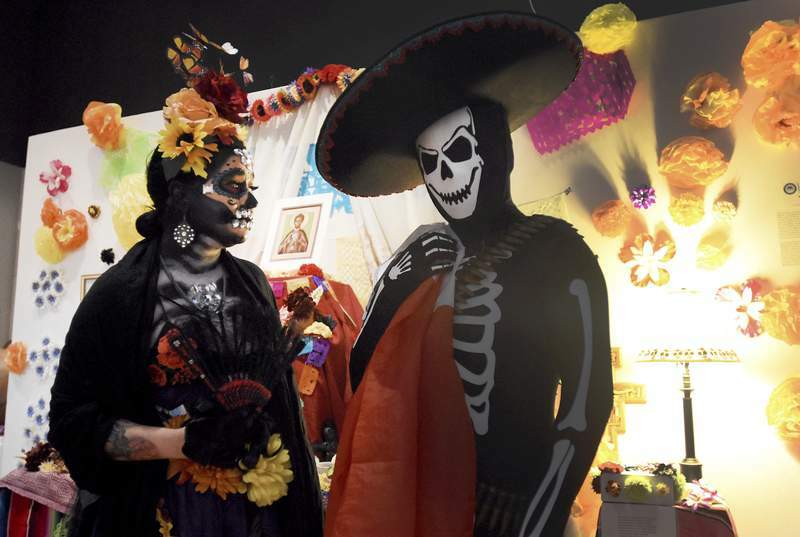 File Fort Wayne Museum of Art's Dia de los Muertos or Day of the Dead celebration will be Sunday featuring altars and activities. Courtesy Purdue University Fort Wayne’s Department of Physics will have a Halloween Demo today which features physics demonstrations. 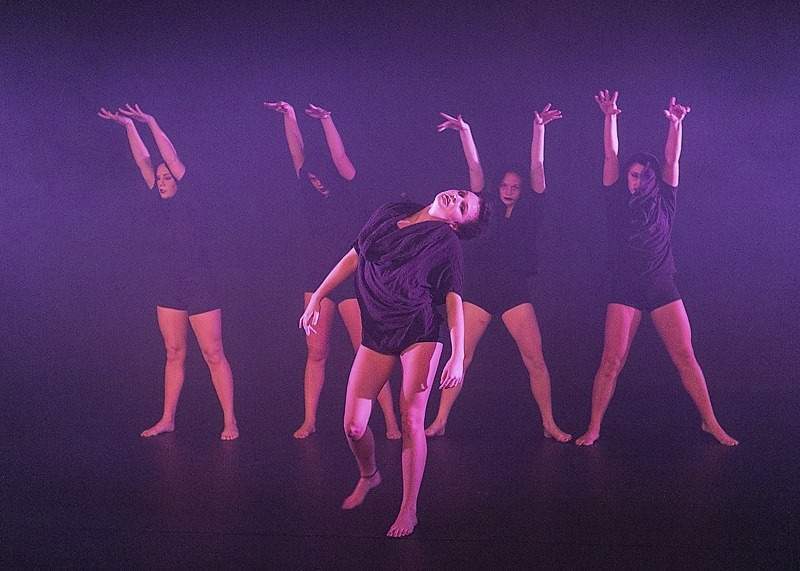 Courtesy Fort Wayne Dance Collective will have its “Midway Mayhem” dance performance today and Saturday. Poe Night – 7 p.m.; Trine University, Wells Theater, Taylor Hall, Angola; reading, reciting and acting out poetry of Edgar Allen Poe; free. Dani McGuire – Author of “The Path of Joyful Living” and founder of Pranayoga Institute; book release and yoga party; 6:30 p.m.; 1501 E. Berry St.; cost of 90-minute yoga class is $35. Bill Engvall – 8 p.m.; Michiana Event Center, Shipshewana; tickets start at $39.95; 260-768-4990 or www.michianaevents.com. Dennis Piper – Fort Wayne Comedy Club, 2104 S. Calhoun St.; 7:15 p.m. show, $15 advance, $20 day of show; fortwaynecomedyclub.com. Legion Dance – Melvin Mullins; 7 p.m.; American Legion Post 296, 130 W. Tillman Road; $5; open to public; 456-2988. Singles dance – 6 to 9:30 p.m.; American Legion Post 47, 601 Reed Road; $7; 704-3669. Wild Zoo Halloween – 10 a.m. to 5 p.m.; Fort Wayne Children's Zoo, 3411 Sherman Blvd. ; $14 adults, $10 for ages 2 to 18 and $12 for seniors ages 62 and older; kidszoo.org; ends Sunday. 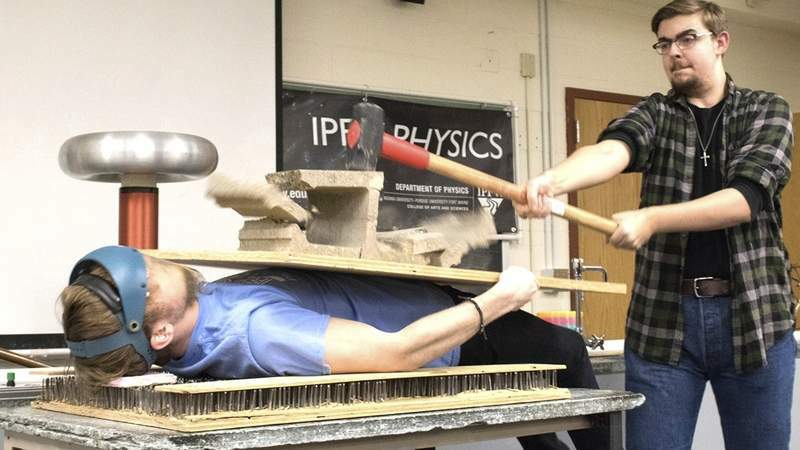 Department of Physics Halloween Demo – 6 p.m.; Purdue University Fort Wayne, Kettler Hall, Room 129, 2101 E. Coliseum Blvd. ; annual Halloween show that features physics demonstrations; free. FunFest – 6 to 8 p.m.; Grace College, Gordon Recreation Center, 100 Publishers Drive, Winona Lake; free. “Trick or Treat”: A Halloween Cabaret” – Three Rivers Music Theatre; 8 and 11 p.m.; 212 Pearl St.; $15 general admission, $10 students; trmttreat.brownpapertickets.com. Halloween Nights at the Museum – 6 to 10:30 p.m.; featuring the Haunted Dugan Mansion and the Dark Asylum; Adams County Historical Society, 420 W. Monroe St., Decatur; $5; ends Saturday; adamscountyinhistoricalmuseum.com. Fort Wayne Fear Factory – 8 to 11 p.m.; River City Complex, 505 River Bend Court; $13; every weekend through Nov. 3, as well as Wednesday; fortwaynefearfactory.com. Halloweenfest – 11 a.m. to 5 p.m.; downtown Churubusco; various events such as pumpkin decorating and costume contest; Chamber trick-or-treat begins at noon; free hayrides from noon to 2 p.m.; town-wide trick or treat starting at 5 p.m.; www.townofchurubusco.com. Halloween Party – 8 p.m. to midnight; Ohio City Community Building, Ohio 118, Ohio City, Ohio; live music, costume contest, free food. Halloween Party – 6:30 p.m. to midnight; Wassenberg Art Center, 214 South Washington St., Van Wert, Ohio; $15 member, $20 non-member; www.wassenbergartcenter.org or 419-238-6837. Dia de los Muertos – Fort Wayne Museum of Art celebration of Day of the Dead; 2 to 6 p.m.; 311 E. Main St.; free but $3 donation accepted. Trunk or Treat – 4 p.m.; First Christian Church, 4800 S. Calhoun St.; free food, treats, games, puppet show. Trunk-or-Treat – 6 to 8 p.m.; hosted by students of Indiana University School of Medicine-Fort Wayne; Purdue University Fort Wayne, 2101 E. Coliseum Blvd. ; more than 30 car stations will give out candy along with carnival-style games; admission is six containers of non-perishable food items or $4; benefits Community Harvest Food Bank. Zamesville Lions' Community Halloween Party – 6:30 p.m. costume judging begins; Zanesville Ballpark, 3088 W VanHorn St., Zanesville; free. Halloween Carnival – 5 to 6:30 p.m.; Schnelker Park, New Haven; also, 4 to 6 p.m. downtown on Broadway where businesses will pass out treats to children. Pumpkin Patch Party – 6 to 8 p.m.; Trier Ridge Community Church, 7501 Hessen Cassel Road; indoor Halloween alternative with games, prizes, candy; free. Trick-or-treating – 5:30 to 7:30 p.m.; Rainbow Furniture showroom, 3206 Covington Road; also pumpkin decorating. Trunk-or-Treat – 5:30 to 7:30 p.m.; Faith United Methodist Church, 207 E. DeWald St.; features candy and a “haunted” bus; free. Georgetown Square Trick-or-Treat event – 5:30 to 7 p.m.; costume judging from 6 to 7:30 p.m. in front of Georgetown Library, treats by businesses. Foellinger-Freimann Botanical Conservatory – “Art of the Garden: Daniel Dienelt at the Conservatory,” ends Nov. 11; 1100 S. Calhoun St.; $5 adults, $3 ages 3-17, free ages 2 and younger; hours, 427-6440 or www.fortwayneparks.org. “Lindy McCormick: Alcohol Inks, Acrylic, Collage, Sculptures, 3-D Pieces,” through Wednesday. “Punkin' Path Display” through Sunday. “$1 Insight Night: Turkey Time,” 6 to 7 p.m. Thursday. The History Center – 10 a.m. to 5 p.m. Monday through Friday, noon to 5 p.m. Saturday and first Sunday of the month; 302 E. Berry St.; 426-2882 or www.fwhistorycenter.com. Science Central – “Don't Be a Zombie! Be Prepared for Natural Disasters” exhibit, includes fire truck from Fort Wayne Firefighters Museum, ends Jan. 6; 1950 N. Clinton St.; $9 ages 3-64, $8 ages 65 and older, free members and 2 and younger; hours, 424-2400 or www.sciencecentral.org. Black Pine Animal Sanctuary – 10 a.m. to 3 p.m. Saturdays and Sundays, or by appointment weekdays, including behind-the-scenes private tours, field trips and group tours; 1426 W. 300 N., Albion; $10 ages 10-54, $8 ages 55 and older, $7 ages 3-9, free ages 2 and younger; program fees vary; 260-636-7383 or www.bpvisit.org; through Wednesday. Howl O' Ween celebration from 10 a.m. to 6 p.m. Saturday with trick-or-treat stations and a free wagon shuttle from 3 to 6 p.m.
Gene Stratton-Porter State Historic Site – Nearly 150 acres of lake shore, formal gardens, woods and newly restored wetlands and prairies; 1205 Pleasant Point, Rome City; 10 a.m. to 4 p.m. Tuesday through Saturday and 1 to 5 p.m. Sundays; genestratton-porter.com; closes for season Dec. 1. National Automotive and Truck Museum of the United States – “Cars and Trucks Like You Used to Own”; adjacent to Auburn Cord Duesenberg Automobile Museum; hours and cost, 260-925-9100, www.natmus.org. National Military History Center and Horse Power Museum – Batmobile items, “Dukes of Hazzard” car General Lee, two “Knight Rider” cars, World's Monster Truck Hall of Fame, a Dale Earnhardt car; 9 a.m. to 5 p.m. daily; 5634 County Road 11-A, Auburn; $10, free ages 6 and younger; 260-927-9144 or www.nationalmilitaryhistorycenter.org. Northeastern Indiana Racing Museum – Inside National Military History Center and Kruse Automotive Museum, Auburn; open daily, hours and cost, 316-0966 or ksplace1@frontier.com. Swiss Heritage Village and Museum – 1800s outdoor village and indoor museum; 10 a.m. to 4 p.m. Monday through Saturday; 1200 Swiss Way, Berne; swissheritage.org; closes Wednesday. Early Ford V-8 Foundation Museum – On display, 1932 Ford chassis, donated Lincoln-Zephyr Continental Cabriolet; 2181 General Doolittle Drive, Auburn; hours, 260-927-8022 or www.fordv8foundation.org. “Woodcarver's Show and Sale” – Sauder Village, 22611 Ohio 2, Archbold, Ohio; $17 adults, $11 ages 6-16, free ages 5 and younger; hours, 1-800-590-9755 or www.saudervillage.org. Park After Dark Night Time Trail Run – Hosted by Bluffton Parks and Recreation; 7:30 p.m.; Ouabache State Park, Bluffton; call 260-824-6069 for information. Little River Ramblers Nature Hike – Sponsored by Little River Wetlands Project; 9 to 11 a.m.; meet at Boy Scout parking lot, 8315 W. Jefferson Blvd. ; free; 478-2515 or info@lrwp.org. Midnight Madness – Hosted by Allen County Public Library Genealogy Center; 6 to 11:59 p.m.; 900 Library Plaza; free. Trails in Motion Film Festival – Hosted by Fleet Feet Fort Wayne; 6 p.m.; features trail and ultra running films with a post film Q&A with Ron Heerkins Jr., director of Beast Coast Film Series, following the films; Cinema Center, 437 E. Berry St.: $12. Historic West Main Street Farmers Market – 3 to 8 p.m.; 1936 W. Main St.; operated by the Nebraska Neighborhood Association. Enchanted Forest – 8:30 p.m.; hosted by Merry Lea Environmental Learning Center of Goshen College; Farmstead Barn site, 2152 S 425 W, Albion; for children ages 5 to 9 who will talk with costumed animals during a night hike; $3.50 per person. NFLCC Antique Fishing Lure Show – 8 a.m. to 12:30 p.m.; Don Hall's Guesthouse, 1313 W. Washington Center Road; admission $5, includes spouses and immediate family under the age of 18. Fort Wayne Newspapers SHE Expo – Sponsored by Windows, Doors & More; 10 a.m. to 5 p.m.; featuring Nicole Curtis, star of “Rehab Addict” on HGTV and DIY networks; Memorial Coliseum, 4000 Parnell Ave.; free admission, VIP admission $40 to $50. Three Rivers Water Filtration Plant Tour – 10 am. to noon; 415 Baltes Ave.; free. Fort Wayne's Farmers Market – 9 a.m. to 1 p.m.; Parkview Field, 1301 Ewing St.; ends May 18. Southside Farmers Market – 7 a.m. to 1 p.m.; 3300 Warsaw St.; 260-244-3288; ends Dec. 15; www.southsidefarmersmarket.com. Binge-Worthy Sundays – 4 p.m.; binge-watch episodes of “Buffy the Vampire Slayer,” along with snacks and trivia games; Cinema Center, 437 E. Berry St.; free. Old Fort Cluster Dog Shows – Hosted by Northeastern Indiana Kennel Club; 8 a.m. to 5 p.m.; Memorial Coliseum, 4000 Parnell Ave.; $5, free children's admission with donation to Pet Food Pantry of Fort Wayne; ends Nov. 4. Komets – vs. Toledo Walleye; 8 p.m.; Memorial Coliseum, 4000 Parnell Ave.; $13 to $29 adults, $12 to $25 seniors ages 60 and older and students, $9 to $20 ages 12 and younger; www.ticketmaster.com and 1-800-745-3000. Heroes & Legends Wrestling XI – 7 p.m.; Memorial Coliseum, 4000 Parnell Ave.; $17 to $57; ticketmaster.com and 1-800-745-3000. “Farce of Habit” – Off Stage Productions; 7:30 p.m. today, cost is $13; 7 p.m. dinner, 8 p.m. show Saturday and 1 p.m. dinner, 2 p.m. show Sunday; Vantage Career Center, 818 N. Frankling St., Van Wert, Ohio; $28; offstagetheatre.com. “War of the Worlds: The Panic Broadcast” – University of Saint Francis School of Creative Arts; 8 p.m. today and Saturday and 2 p.m. Sunday; USF Robert Goldstine Performing Arts Center, 431 W. Berry St.; $12 adults, $10 seniors ages 65 and older, $10 children ages 18 and younger; 422-4226 or tickets.artstix.org/art.sf.edu. “Thicker Than Blood” – Hicksville Village Players; 7 p.m. today and Saturday and 2 p.m. Sunday; St. Michael's Catholic Church, Hicksville, Ohio; $10 adults, $8 students. “Menopause the Musical” – 7:30 p.m.; Embassy Theatre, 125 W. Jefferson Blvd. ; tickets, www.ticketmaster.com or 424-5665.